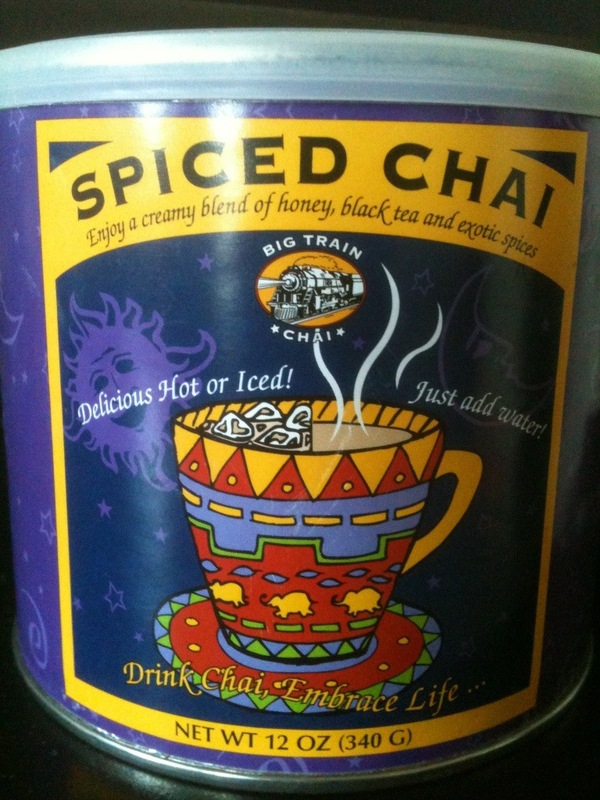 One of my favorite addictions is Big Train Chai. If you’re a chai tea fan then I’d pray you know who they are. Big Train makes one of the best blends of the drink spice that I have found. So when I had a bag of bananas on the verge of extinction, it all just came together. I love a good quick bread. There’s no waiting for anything to rise, or biting your nails over why it didn’t proof. Just smash, mix and stir. It doesn’t get much better than that. 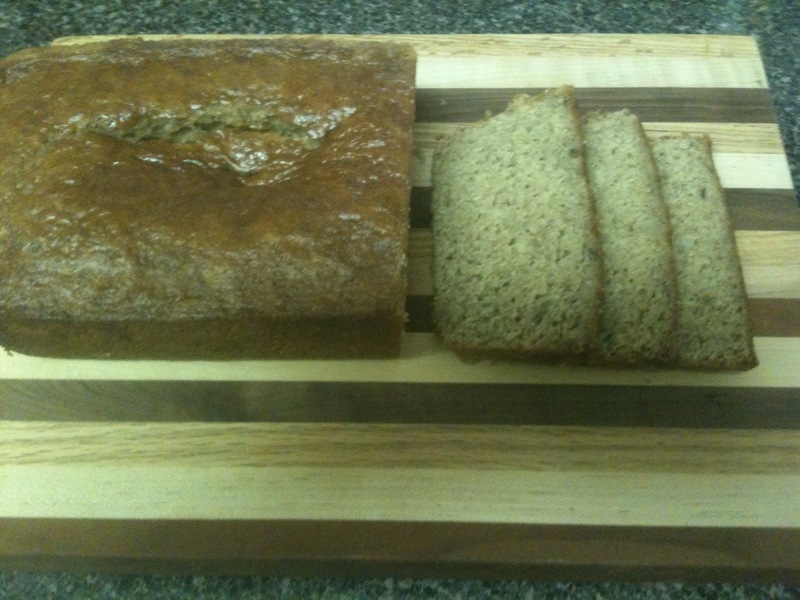 Banana bread is great for breakfast, you can cut slices and batter it in a little bit of egg, milk and cinnamon. Sear it in your skillet for french toast. It’s an awesome grab and go item if you’re busy and I’ve even seen it as a dessert sandwich with Nutella and marshmallow fluff! Yum! Preheat the oven to 350°F. First, smash bananas with two forks. Use a wooden spoon, mix butter into the mashed bananas in a large mixing bowl. Mix in the sugar, egg, vanilla and chai. Dust the baking soda and salt over the mixture and combine. Last, add the flour to the mix. Pour mixture into a buttered 4×8 inch loaf pan. Bake for 45 min. to 1 hour. Cool on a rack. Remove from pan and slice to serve. Enjoy! Wow, what a creative use of Big Train Spiced Chai. Hope you don’t mind that we’ve shared it on our Facebook page. Great post! Thanks! I’m a huge fan of Big Trains Products. Spiced Chai just happens to be one of my favorites. Here is a recipe or two for you. I hope your bradmeaker has a sweet bread button, or just use the reg cycle.Caribbean Banana BreadLarge Loaf1/3 C water3/4 C mashed very ripe banana2 T vegetable oil, margarine or butter (I use olive oil)1 large egg3/4 t salt3 T brown sugar, packed1 1/2 C white flour*1 1/2 C whole-wheat flour1 t ground nutmeg or cinnamon (bet pumpkin pie spice would be good)1 1/4 t bread-machine or instant yeast1/4 C each raisins and chopped pecans (optional) * In Canada use all-purpose or bread flour; in the United States use bread flour. (You don’t have to use wheat flour. Just add the amt listed in white)Extra Large Loaf1/3 C water1 C mashed very ripe banana (about 2 medium bananas)3 T vegetable oil, margarine or butter (I use olive oil)2 large eggs1 t salt1/4 C brown sugar, packed2 C white flour*2 C whole-wheat flour1 1/4 t ground nutmeg or cinnamon (bet pumpkin pie spice would be good)1 1/2 t bread-machine or instant yeast1/3 C each raisins and chopped pecans (optional)*In Canada use all-purpose or bread flour; in the United States use bread flour. 1. Add all ingredients except raisins and nuts to machine according tomanufacturer’s directions. Select sweet or white cycle. 2. Add raisins and nuts at ingredient signal (or about 20 to 30 minutes into cycle after the starting time). Tip: Freeze overripe bananas either in their skins (the skins will turn black but the bananas are good for baking when thawed) or peel, mash and freeze in airtight containers or bags.